If you’re nodding your head while you read, pat yourself on the back – most liver detox programs out there are often useless! But more importantly, many of these programs can be downright dangerous since they have no scientific basis whatsoever. 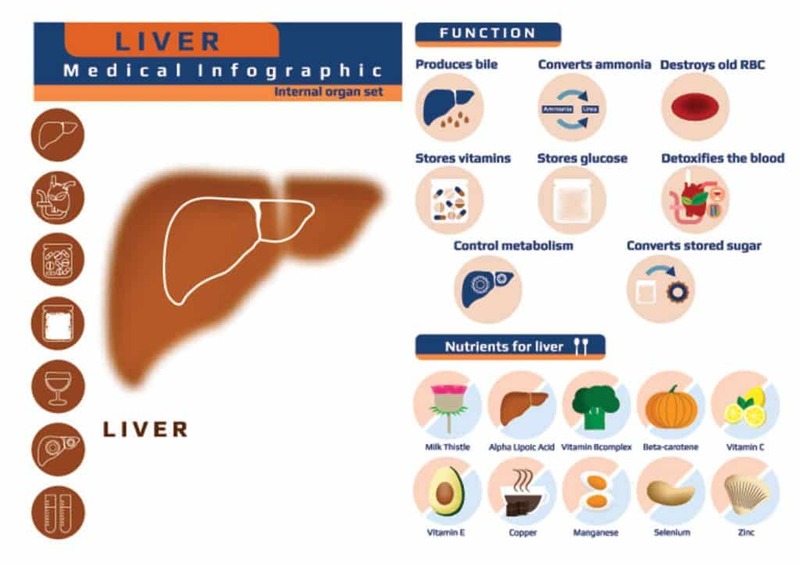 So, before you try any liver detox programs, make sure to understand (i) how your liver works and (ii) what this impressive organ needs to do its job properly. 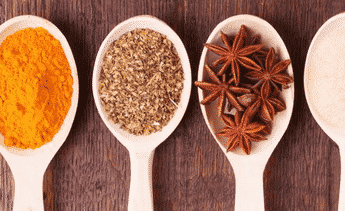 In this article, you’ll discover why we should give our liver some extra love. And how to detox safely without relying on expensive supplements. Don’t worry: This liver detox is NOT about starving yourself by drinking only lemon juice. Nor is it about drinking (practically) nothing but protein shakes for a month. I’ll also provide you with a list of nutrients your liver needs to perform its innate detoxification functions. 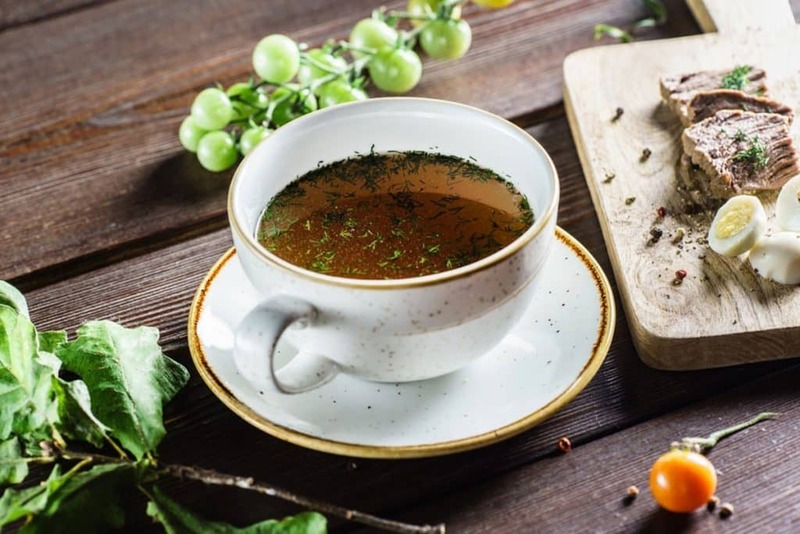 Make sure to read the entire article – you’ll be surprised to discover which food is the best when it comes to liver detox. Important note: Make sure to get clearance from your doctor before trying this or any other liver detox. What’s the liver’s job anyways? Saying that the liver is hard-working is an understatement. But for this article, I’ll focus on one of the liver’s primary duties, namely detoxification. Because I’ve had way too many patients who jumped on the liver detox bandwagon without fully understanding what detoxification is really about. Take home message: The liver plays hundreds of important roles. One of its major functions is to act as a filter that helps the body eliminate substances that could be harmful to the body. What goes on during detoxification? Everybody knows that detoxification involves the removal of toxins. And that toxins are poisonous substances that can damage cells or increase the risk of diseases. But this (not very helpful) definition is why practically everything we eat and drink has been categorized as a toxin by a health figure at some point. We’re exposed to different toxins daily and these come from different places. What you want to do is minimize your exposure to environmental toxins. It is impossible to avoid them all. Some toxins come from external sources like medications, alcohol, drugs, contaminants, pesticides, and microorganisms. Toxins may be produced as byproducts of internal reactions. For example, bacteria in the gut produce enterotoxins. Most of the time, it is prolonged exposure to these toxins that can cause disease. For instance, our body produces ammonia when it digests protein. Since ammonia is very toxic, our body will not allow it to accumulate. That’s where the liver comes in: it converts excess ammonia into urea which is then ultimately excreted via the urine. And this process occurs whether you consume plant protein or animal protein. The sinusoidal system (or liver filter) contains specialized cells known as Kupffer cells which ingest and break down toxic matter so that they can be excreted. Irrespective of the toxin’s origins, the liver will first neutralize that toxin by transforming and combining it with another substance. These two processes facilitate, and make safe, the toxin’s elimination from the body. Take home message: Any detox program that is worth your time will focus on supporting the three stages of detoxification namely transformation, conjugation (or combination with another substance), and elimination. Also known as ‘enzymatic transformation’, this phase begins the detoxification process. During phase I, a family of enzymes known as the cytochrome P450s (CYPs) enhance various reactions that modify the structure of the various harmful chemicals we encounter. Most of the toxins we are exposed to are fat soluble. What this means is that most toxins only dissolve in fat or oil and thus accumulate in our body fat. The more toxins accumulate in your body, the more inflammation they will cause and the more weight you’ll gain. Especially around your belly. To lose weight and keep it off, it is crucial to support your body’s innate liver detox mechanisms. The reactions in phase I do not make the toxins water-soluble enough. Plus, after phase I, some toxins are rendered more active – they become potentially more dangerous than they initially were. And that’s where phase II comes in. 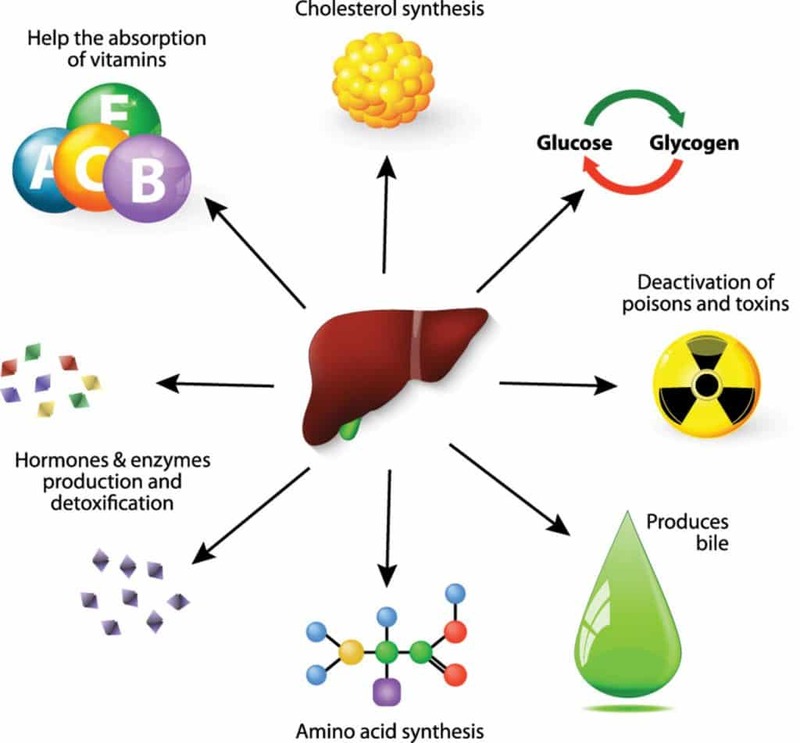 Phase II liver detox is also called ‘enzymatic conjugation’. During this phase, the liver will add small molecules to the partially- processed toxins. • Glycination, where glycine (an amino acid) will bind to benzoic acid, salycilates, and some antihistamines and decongestants. • Sulfation, where sulfate binds to various substances including artificial food ingredients, steroid hormones, and amines produced when meat is cooked at high temperatures. • Glutathonation, where glutathione attaches to toxic metals, carcinogens (like aflatoxins), some drugs, and foreign substances. • Glucuronidation, where glucuronic acid binds to pesticides and drugs. These pathways neutralize these various toxins and make them fully water soluble. Carried to the intestines with bile to be excreted through the stools. Transported to the kidneys and flushed out of the body through urine. Phase I is similar to collecting all the trash in the various garbage bins in your house into plastic bags. This makes it easier to transport the trash to the big garbage bin outside. Phase II would be like getting that large garbage bin out to the curb to facilitate garbage collection. Finally Phase III would be similar to when the waste collectors come to your house to remove the garbage. Take home message: If there’s a problem with any of the three liver detox pathways, the garbage would accumulate in your body and cause various health issues. Now that you know what detoxification is all about, let’s dive in the nuts and bolts of the liver detox. Let’s start with what a liver detox isn’t about: it’s not a diet, and does not involve deprivation or fasting. In fact, the purpose of a liver detox is to rid the body of toxic burdens while supporting each phase with specific nutrients. Avoiding specific foods, chemicals, and lifestyle practices that burden the body’s detoxification machinery. Focusing on nutrient density by adding in foods that will support your body’s detoxification processes. These changes will allow your body’s detoxification processes to recover and start to function efficiently again. Simultaneously, you’ll also be giving all your internal organs a well-deserved rest and boost. So, do YOU need a liver detox? Did you know that thousands of chemicals are added to our food? I’m talking about pesticides in plants and hormones and antibiotics given to animals we eat. Or chemicals added to processed food to preserve it. These chemicals not only weaken our immune system and increase sensitivities but also destroy the nutrients our body needs to carry out detoxification. What this means is that our liver needs to cope with all these toxic burdens with a limited supply of nutrients. Eventually, the toxic burden becomes too much for the liver to handle and it gradually becomes ‘clogged’. This can cause numerous health issues and promote the onset of degenerative diseases. If you suffer from any of the above symptoms, you may want to consider a liver detox. Make sure to get your doctor’s approval first. Vitamins especially vitamin A, B2, B3, B5, B6, B12, and folate. To keep things simple, just make sure to eat enough organ meats, fish like salmon, green leafy veggies, and sweet potatoes. Antioxidants like vitamin C (from cauliflower, papaya, and citrus fruits amongst others); vitamin E (from green leafy veggies and seafood), and beta-carotene (from yellow, orange, or dark green produce). You also want to get enough zinc (from seafood, beef, and poultry) as well as selenium (from tuna, broccoli, organ meats, and mushrooms). As mentioned earlier, during phase II, the body will attach new molecules to toxins. This renders them more water soluble. You’re properly hydrated – Aim for 2 glasses of water 30 minutes before each meal and try to drink a few sips of water every hour. You’re having at least one (up to three) bowel movements per day – If that’s not the case, review your water intake. Pure magnesium citrate powder can also be helpful. Purpose: Hot baths help draw toxins to the skin surface. And as the water cools down, the temperature change pulls the toxins into the water. Adding Epsom salts will help boost this process. 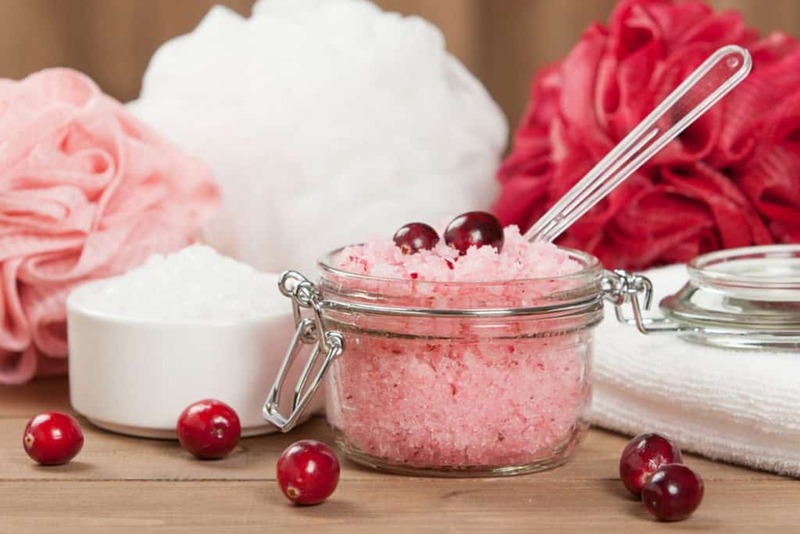 Moreover, pure Epsom salt is actually magnesium sulfate – magnesium and sulfur are two minerals that play a crucial role in the detoxification process. Unfortunately, we don’t get enough of these in our modern diet. Since our skin readily absorbs these two minerals, an Epsom salt soak can help solve this issue. What you’ll need: 2 cups of pure (no perfume added) Epsom salts for a regular sized bath. How long to take Epsom salt baths: About 15 minutes and up to 30 minutes. One of my patient fell asleep in her Epsom salt bath and had diarrhea afterwards since the prolonged soak caused her body to absorb too much magnesium. How often: 2 to 3 times per week for 30 days and then once a week. Avoid this if you have eczema, very sensitive or dry skin. Do a patch test on your arm or leg before doing this on your entire body. If your skin becomes irritated or inflamed afterwards, skin brushing isn’t for you. Try the Epsom salt baths instead. 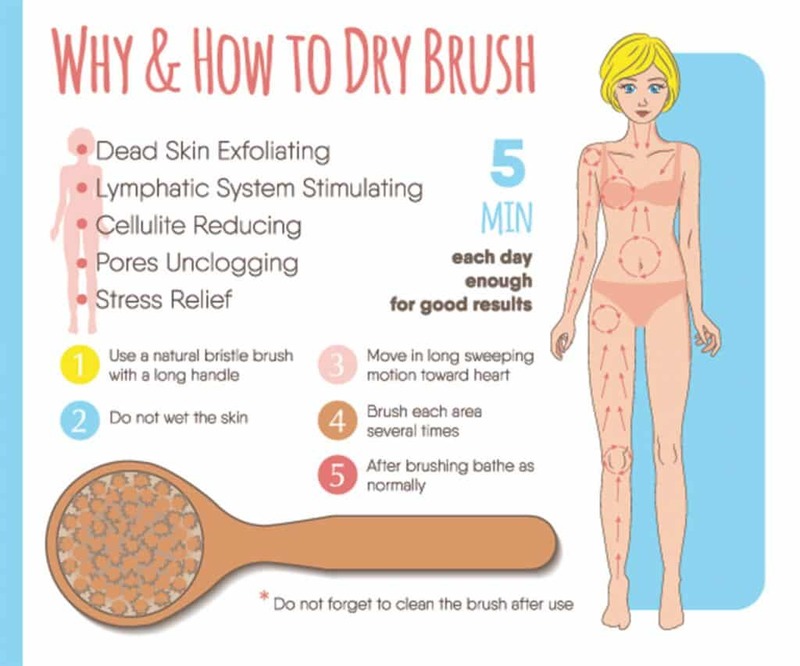 Purpose: Dry skin brushing will help unclog your pores, speed up Phase III, and stimulate your lymphatic system (a vital part of the immune system) by improving blood circulation. What you’ll need: A bristle brush with natural fibers that are firm but gentle and a long handle so it can reach all areas of your body. How to do it: Using the loofah or brush on your dry skin, start brushing your feet and move in long sweeping motions towards your heart. Brush a few times in each area, taking care to apply less pressure over more sensitive areas. Avoid the face and genital areas. Once you’re done, jump in the shower (use natural soap instead of a chemical-laden body wash). How often: Once or twice a day for 15 days (or during your liver detox program). Afterwards, once or twice a week. Remember to wash your brush and to let it dry thoroughly before the next skin brushing session. Start your shower with hot water and end with a splash of cold water. If you can tolerate temperature fluctuations, alternate between hot and cold water. This form of hydrotherapy (therapy using water) will help further improve blood flow. Thus, it enhances the elimination of toxins via the newly brushed skin. Purpose: You probably guessed it but since saunas induce sweating, they help mobilize toxins from your fat tissue. Plus, this practice also enhances blood flow and supports all our detoxifying organs (namely the lymphatic system, skin, lungs, liver, and kidneys). How often: Once a week during the first month then once every fortnight. Tip: Take this opportunity to drink some green smoothie. This should help eliminate bacteria that call your tongue ‘home’. For best results try coconut oil pulling as well. But keep it light. For instance, you could enjoy bike rides, swimming, walking, or light gardening. Why? Besides improving blood flow through all the organs, light exercises also strengthen the gut. Please don’t underestimate the importance of this last tip just because it is the last one. If you don’t take time off for yourself, you may not reap the full benefits of the liver detox. I’ve noticed very often in my practice especially among women. So, try to spend about 30 minutes every day doing something you enjoy. And, if possible, aim to be in bed by 10pm every night. Without your laptop or smartphone. Do NOT do this if you’re pregnant, having a heavy menstrual flow, or if you’re bleeding internally. Purpose: When placed over the liver area, castor oil packs help stimulate liver detox while reducing inflammation and boosting the immune system. How often: Four consecutive days per week for about 5 to 6 weeks. What you’ll need: Hexane-free, fragrance-free, cold-pressed castor oil; a bowl, a piece of flannel, a towel, and a hot water bottle or heating pad. How to do it: Check out the video below. Dietary supplements: An essential component of an effective liver detox? The answer to this question depends on a few factors. Factor 1: How are your lifestyle habits? I’m going to tell you something I always tell my patients. So, before you purchase liver detox supplements, do yourself a favor and address each of the above factors first. Done? Great! Then let’s move to the next step. Factor 2: Are you supporting your liver detox machinery? In other words, are you getting enough of the vitamins, minerals, and antioxidants mentioned earlier? If not, you may want to address the nutrient density of your diet first. Note: A nutrient-rich diet is especially important if you plan on taking milk thistle, a popular liver detox stimulator that increases the body’s need for nutrients. Factor 3: How efficient are your liver detox pathways? Lipid peroxide which measures your levels of free radicals. If these are high, you may benefit from antioxidant support. If these last two tests are not optimal, you may want to work with a qualified (and non-conventional) healthcare practitioner who will design a supplement protocol for you. Milk thistle, also known as Silybum marianum – About 420mg of pure silymarin (the active compound of milk thistle) per day. All the B-vitamins – make sure to choose a product that contains vitamin B12 as methylcobalamin (and not cyanocobalamin) and folate as 5-methyltetrahydrofolate (instead of folic acid). Again, please do not attempt any supplement protocol without first getting the green lights from your doctor. 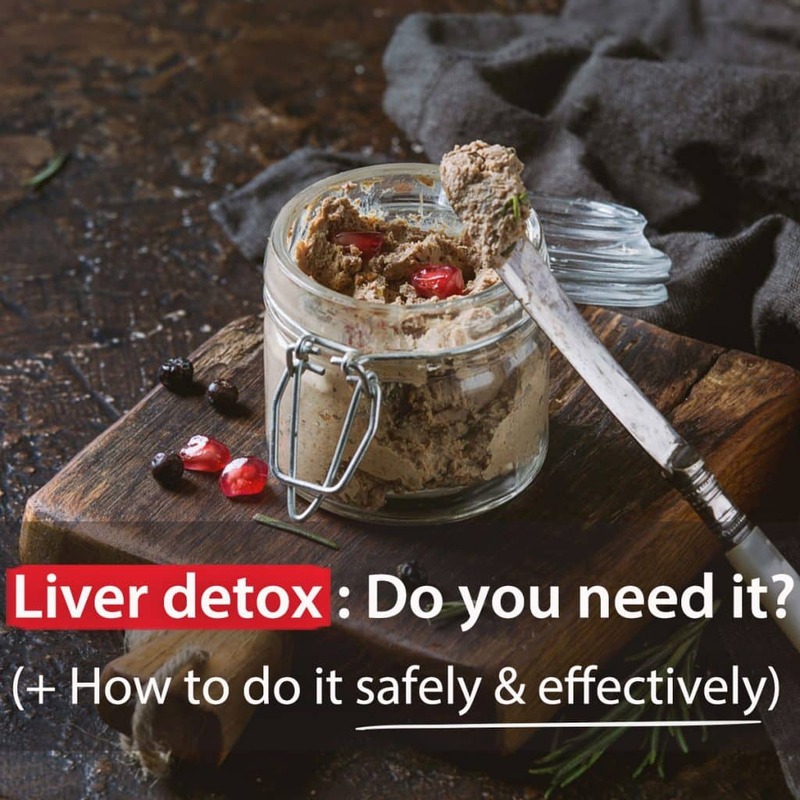 Now, I’d like to hear from you: have you ever done a liver detox? Share your experience on our Facebook page. Shari is a registered dietitian specializing in naturopathic medical nutrition for women and children. She is currently doing her MS in Nutrition & Health Promotion at Mississippi State University with the aim of helping others achieve optimal health with real foods. Shari is the founder of NutriHeal, absolutely loves HIIT and regularly plays volleyball.